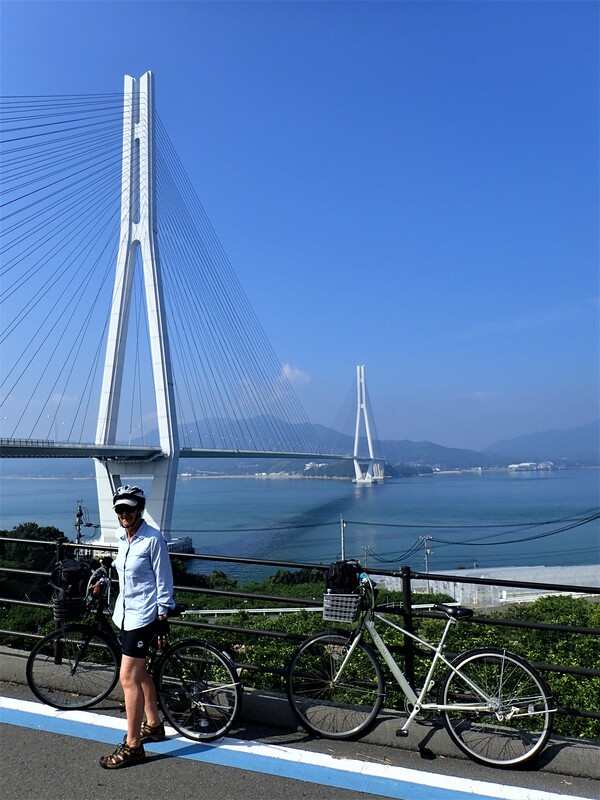 A 2 day cycle (for us) across amazing bridges and islands in the Seto Sea. An 80 km ride along the most direct route where many interesting side trips could be made through, across and around the islands to make a cycle journey of greater length and possible challenge. Well signposted, good maps at the tourist info offices and bike hire easy to organize. 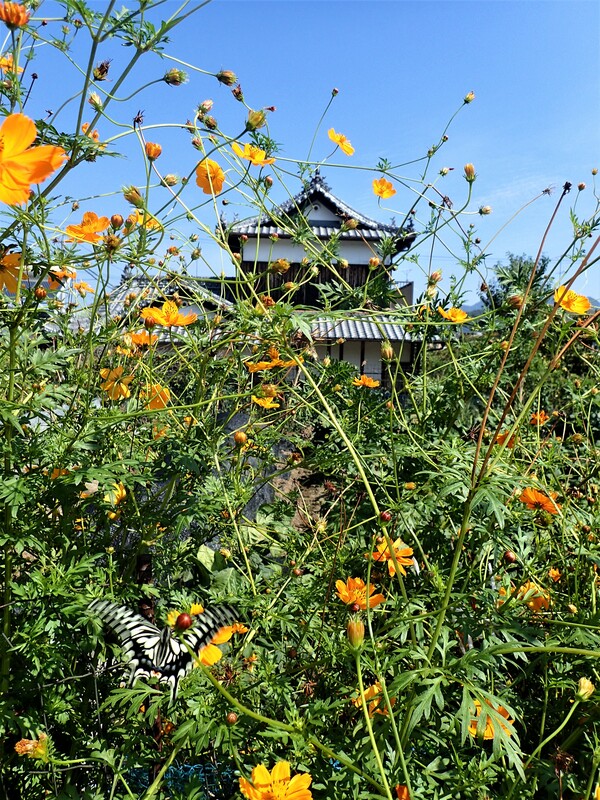 Onomichi – A Shinkansen bullet train from Kyoto to Fukuyama then a local train to Onomichi. Both trains are JR (Japan Rail) lines. Tickets were purchased in Kyoto Station at the “Foreigners” (English speaking) counter – easy and helpful. The “bullet” was like a ground level airplane. Lots of trains would be available from Osaka, Shin Osaka, Hiroshima and Kansai Airport. 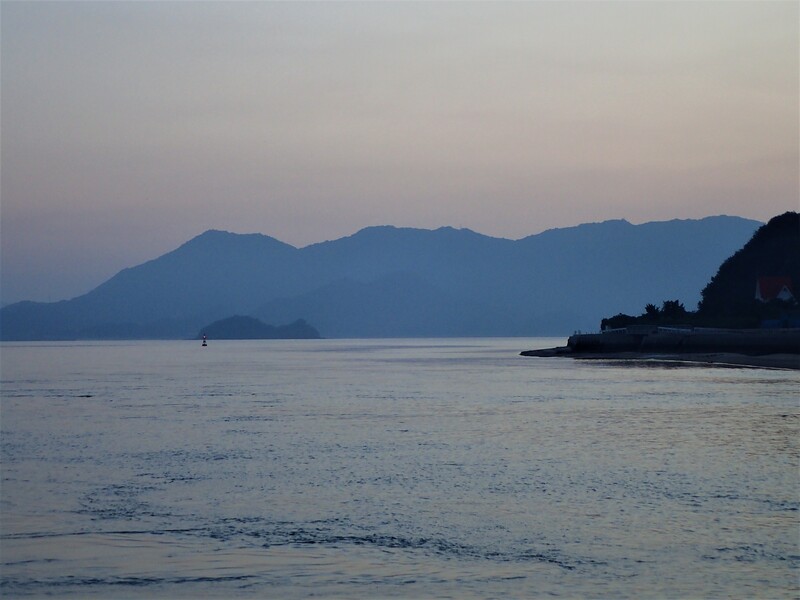 Imabari – also serviced by train to Fukuyama then to Osaka or to Hiroshima. At the exit to the station at Onomichi is a small Tourist Info booth where we were directed to the Green Hotel. The Green Hotel is 150 m from the station on the waterfront. Inside the Hotel foyer we arranged luggage transfer which unexpectedly was not available to our booked accommodation half way along the route (we sent it to accommodation in Imabari at the end of the route). We packed a few items in day packs for the ride and hired bikes with front baskets to carry them. Bike hire was done in a stall in the carpark next door. General purpose bikes with 5 gears proved ok. There are plenty of bike stations along the way so worries of not carrying spare tubes and a few tools were dismissed. Maps were available in the Hotel area. A small ferry took us across to the first island nearby where we started cycling. The start of the route was a little tricky to find but there were other cyclists to follow. The main route is marked on the road with blue signs pointing the way. Much of the first day to Setoda was on back roads with little traffic and dedicated cycle trails. 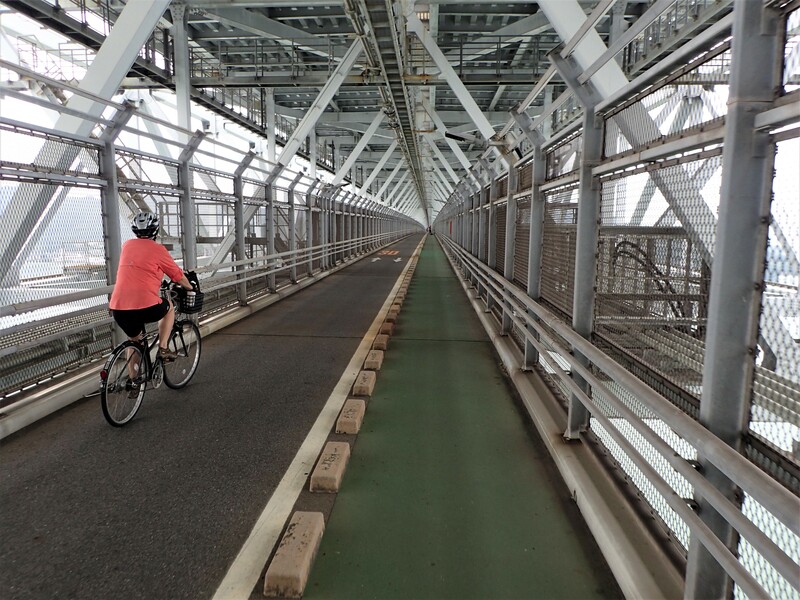 Highlights were riding across the long suspension bridges that connect the islands – on cycle paths a level below the car roadway or on paths separated from the traffic. Rural land, forest, beaches, industry, shipyards, villages. Convenience stores appeared regularly with shaded areas especially for cyclists. Traffic seemed to be very cycle aware and courteous. A range of people were on the ride – lycra clad racers, mountain bikers, kids, tourists on hired rattlers, hybrids, road bikes and a few tandems. No tourers with lots of gear. Being 80km long I guess many would complete the ride in a day, do an out and back or stay half way like us with minimal gear. 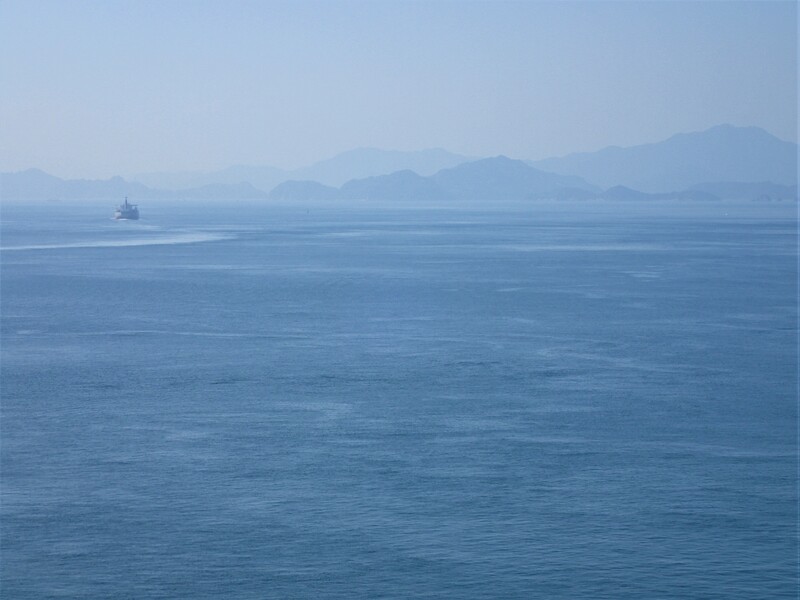 In all directions the Seto Sea was jade green. Steep forested islands painted themselves into this iconic Japanese landscape. Haze added an otherworldly atmosphere to the scenes. At Ryokan Suminoe in Setoda we stumbled into old Japan. Refined and welcoming hospitality. No words of English. Paper sliding wall panel shutters. Our room overlooked a lush garden. Tatami floors. Bath with a view into the garden. Sunset over the sea. Worn wooden floors. Individual room for dining. 7 course dinner with much seafood. Breakfast of fish, rice, miso soup and coffee. A little anxious about wearing the correct slippers. 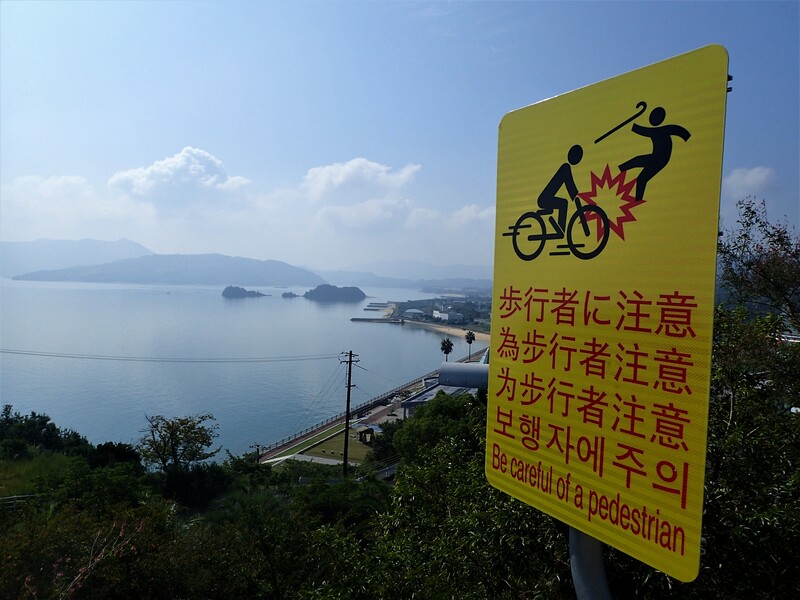 30 km from Onomichi to Setoda on Day 1. Another hot day. Terrific riding most of the way. 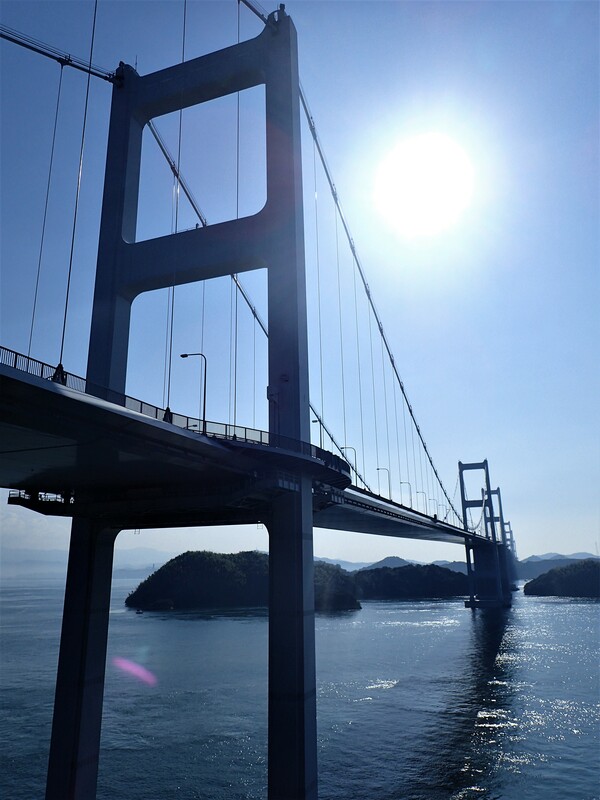 Spectacular bridges that included the longest – 4.7 km. Views from high bridge vantage points of the islands and the sea. Uphills to access the bridges were long and slow but steady at well graded 3% angles but the downs were fast and easy. Navigation was straightforward right into Imabari following the blue line on the side of the road and the regular signs. “Cyclist sanctuaries” popped up just when needed for toilets, food, drinks and shady rest breaks. Much of this part of the ride route hugged the shore line with a dedicated cycle lane mostly and sometimes quiet roads. Strong tidal currents swirled the water round the ends of islands. A steady stream of ships plied the open sea ways. Villages, small towns, forest, orange and mandarin orchards, shipping industry. Cycling the spectacular bridges was unusual and very enjoyable. Each was a different engineering feat. The infrastructure and setup for cyclists was excellent. The bikes made the trip with no hassles. At Imabari a “Giant” shop right beside the station hired out smarter bikes for the more discerning cyclist. The whole cycle trip can be extended beyond the standard 80 km by taking on some of the more challenging routes identified or taking the extra optional sections out and around the more isolated parts of most of the islands. 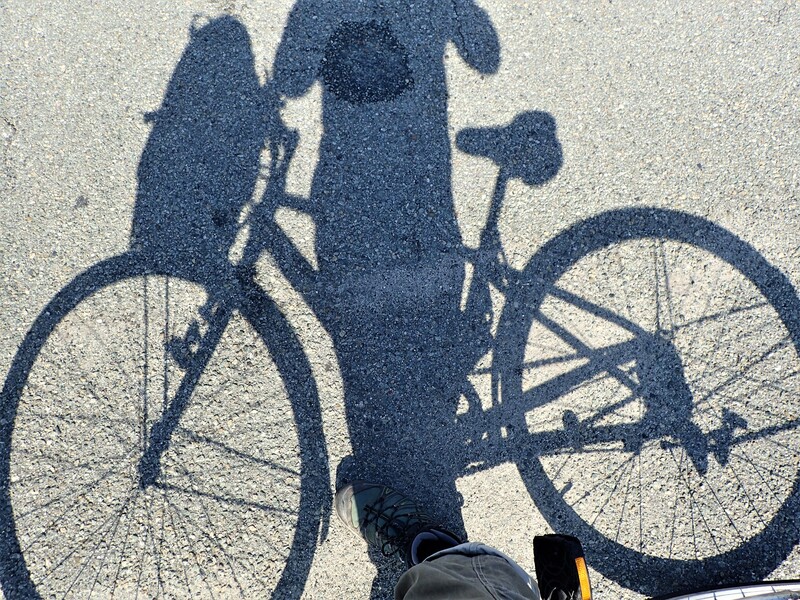 Cycle touring is a wonderful way to tourist a place – active, at your own pace, one of those iconic self-propelled ways to travel. You interact with the place and the people in a quiet, gentle way. 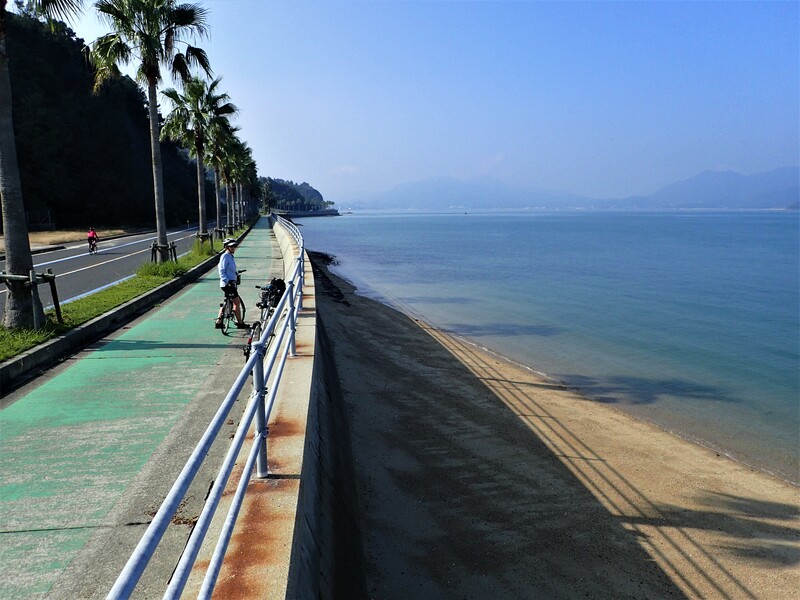 Imabari – Cyclo No Ie – small funky youth hostel style accom right near station, terrific hospitality, book ahead as its popular and cheap. Fab yakatori restaurants nearby. Trains out to Hiroshima, Osaka and beyond. 50 km from Setoda to Imabari on Day 2.